The latest and hopefully not yet the greatest! 30 drilled water projects in Gujarat, Orissa, Tamil Nadu and Andhra Pradesh with another 10 projects in the works within the Trichy District of Tamil Nadu. Just funded 6 months of 2nd Saturday medical camps in Tuni, AP which will start in August and run through January 2015. These projects have on average 400 people attending who are in need of medical care and can’t afford such care. Funded 7 months of support to a girl’s youth hostel in Gujarat and still seeking the final 5 months of funding for their everyday needs. Carried out a medical camp earlier this year in the Visak District and saw over 400 people come to receive medical exams from 2 local doctors along with receiving much needed medicines for their individual ailments. Seeking to raise $25,000 for our share of a mobile medical unit we want to help purchase and see used in the Dang District of Southern Gujarat. We have the staff ready; just need another $12,500 to fulfill our obligation. Raised funds for a Reverse Osmosis water filtration system which we hope to see installed soon at New Life Children’s Home and in addition to providing them with cleaner water, the system will enable them to enter into a small water distribution business which we hope will help them become more self-sufficient. 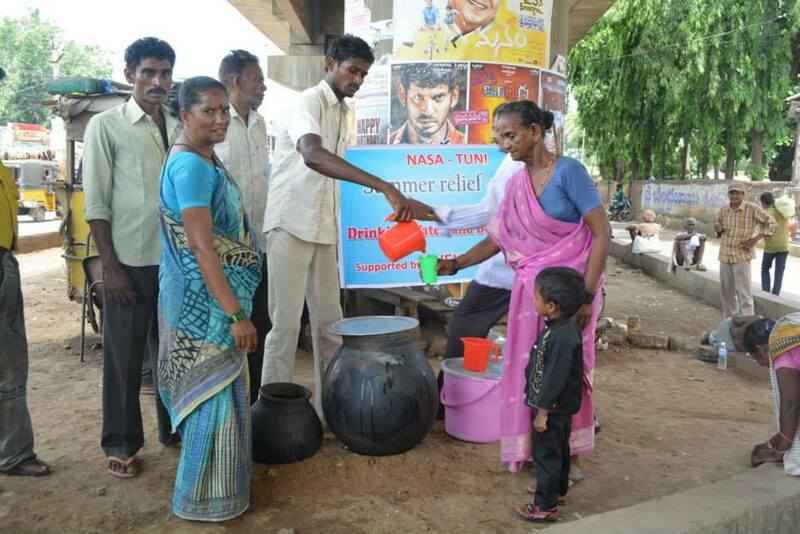 Set up 5 emergency water stations in Tuni which will run for a week and provide “water relief” for all those traveling throughout the city as Southern India is experiencing high heat and significant power cuts. The local government has appealed to our partner and Wells for Life to provide assistance and as such we have responded. Leave next month for India and will be traveling to North and South India dedicating projects and working alongside our project partners with an aim towards developing projects/programs that bring lasting change. My hope and prayer is that what has been accomplished so far this year is the build up to even greater exploits as the year goes on. More projects remain to be funded, more opportunities for outreach into the lives of the poor. Raising another $12,500 so that we fulfill our commitment to raise ½ of the costs for a mobile medical unit in North India would be huge and to see this vision come to fruition would truly be a climax for those tribal people who desperately need such a van to bring a doctor and medicines to them. People ask all the time how and why I do this work and don’t I grow overwhelmed because the needs are so great? My answer to them is not to see the needs and be overwhelmed but to see “needs” as opportunities and at the vast number of places that we can touch and make a difference in. It’s like a huge bowl filled with candy that was collected over Halloween, do you just look at it and be amazed at how much is there and how can one possibly eat all of this candy or do you just start digging, grabbing and eating and before you know it you have consumed a bunch of it? India is like that, just jump in and start; before you know it you’re so in to what you are doing that you just have to do more because it’s really good, especially when you see lives changed. I know this isn’t the greatest analogy and I could poke holes through it, but I won’t because it’s what came to mind as I type so I’ll just let it stand! Now my invitation to have you join me and help me finish strong this year! Your financial support will help bring water and change lives and if you want to help us reach our goal of $12,500 to meet our obligation for funding a mobile medical unit for Southern Gujarat and the Dang District then memo your gift MMU. Blessings to you and enjoy your Summer!